Sen. Ted Cruz warned this week that the United States is facing "perilous times" due to the growing threat from communist China. "China is in my view the greatest long-term geopolitical risk to the United States," the Texas Republican told a conference of China watchers hosted by the Committee on the Present Danger-China. "They are the greatest risk militarily, they are the greatest risk economically, and they are the greatest risk in expanding their world influence and seeking to constrain our own." 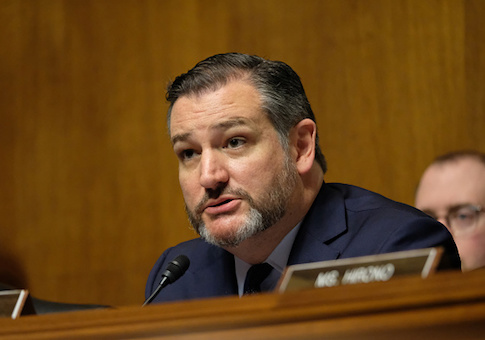 Mr. Cruz, a member of the Senate Foreign Relations Committee, said severing ties with China is not possible because of close economic relations. He outlined three tools that can "combat the geopolitical and geomilitary threat that we face." This entry was posted in National Security and tagged China, Ted Cruz. Bookmark the permalink.